Simply told but deeply affecting, in the bestselling tradition of Alice McDermott and Tom Perrotta, this urgent novel unravels the heartrending yet unsentimental tale of a woman who kidnaps a baby in a superstore—and gets away with it for twenty-one years. Lucy Wakefield is a seemingly ordinary woman who does something extraordinary in a desperate moment: she takes a baby girl from a shopping cart and raises her as her own. It’s a secret she manages to keep for over two decades—from her daughter, the babysitter who helped raise her, family, coworkers, and friends. When Lucy’s now-grown daughter Mia discovers the devastating truth of her origins, she is overwhelmed by confusion and anger and determines not to speak again to the mother who raised her. She reaches out to her birth mother for a tearful reunion, and Lucy is forced to flee to China to avoid prosecution. What follows is a ripple effect that alters the lives of many and challenges our understanding of the very meaning of motherhood. Author Helen Klein Ross, whose work has appeared in The New Yorker, weaves a powerful story of upheaval and resilience told from the alternating perspectives of Lucy, Mia, Mia’s birth mother, and others intimately involved in the kidnapping. What Was Mine is a compelling tale of motherhood and loss, of grief and hope, and the life-shattering effects of a single, irrevocable moment. This reading group guide for What Was Mine includes an introduction, discussion questions, and ideas for enhancing your book club. The suggested questions are intended to help your reading group find new and interesting angles and topics for your discussion. We hope that these ideas will enrich your conversation and increase your enjoyment of the book. Have you ever done something in the heat of the moment that you could not undo? Lucy Wakefield never thought she would commit a crime, but when she finds a baby alone in a shopping cart, she is overcome by long-held desire for a baby, and in one life-altering, incomprehensible decision, she kidnaps a beautiful baby girl. For over two decades, she manages to keep this secret and raise Mia as her adopted daughter. But Mia’s birthmother never gave up hope that she was alive and her unshakeable conviction eventually helps bring the secret to light. When Mia discovers the devastating truth of her origins, she’s overwhelmed by confusion and anger. Who is she? Who is her mother? And who is the woman she’s called her mother all these years? A tale of loss and grief, identity and reflection, hope and acceptance, What Was Mine is ultimately a story about the meaning of motherhood and the ripple effect of a split-second decision that alters so many lives. 1. The title of the book, What Was Mine, gets at the themes of ownership and belonging. Discuss how that theme relates to the three main characters: Lucy, Marilyn, and Mia. What was theirs? What did they each lose throughout the story? 2. What is the effect of knowing from the beginning of the story that Lucy eventually gets caught? 3. In Lucy’s mind, aside from her one egregious act, she is a normal person—a good person, even. Is it possible for someone good and normal to stray so far from the path of what’s right and then simply return to it? Is it possible for a good person to do a bad thing, or are some acts so egregious as to define one as a bad person? 4. Marilyn’s character is portrayed as almost a different person before and after her daughter’s kidnapping. Discuss the ways in which she changes after going through this traumatic event. 5. “So much of who you are has to do with your mother.” Do you agree with this statement? 6. Mia and Marilyn try to forgive Lucy for what she did, but others like Tom and even Lucy’s own sister, Cheryl, are not able to. Discuss the theme of forgiveness in the story. Why do you think two of the people most directly affected are the most willing to try to forgive? Have you ever been asked to forgive someone for something you thought was unforgivable? 7. Throughout the story, Lucy’s intentions don’t always line up with her actions. Even as she was kidnapping Mia, she was in denial about what she was doing, intending to give the baby back somehow. When she then almost lost Mia in a store, she “made promises to the universe” to set things right which she wouldn’t keep. She says she meant to tell Mia when she got older. “Part of me thought that if I waited long enough, if I used just the right words, perhaps she’d be able to understand.” Do you think Lucy ever really intended to tell Mia the truth—or was she lying to herself about that, too? 8. After Mia discovers the truth about what happened to her, she has a hard time referring to either Lucy or Marilyn as “mother.” Discuss what the word mother means to you. What makes a mother a mother? Is it the person who birthed you, whose genes you share, who raised you—and what if these don’t describe the same person? How do Mia’s feelings toward each of the women who think of themselves as her mother change over the next ten months? 9. When Lucy confesses her crime to Wendy, Wendy is kind and understanding, as she has a secret of her own to confess. Why do you think Wendy’s secret makes her sympathetic to Lucy? How do you think her secret compares with Lucy’s? 10. If the kidnapping hadn’t happened, Marilyn presumably would have chosen to remain employed and Mia would have been raised by a woman who, like Lucy, works outside the home. Compare and contrast the images presented in the book of different mothering styles and decisions that led to various choices. What do these differences in styles represent for Mia? 11. Marilyn and Tom both managed to eventually move on and make new lives for themselves after the kidnapping. Cheryl wonders how Lucy could ever “restore what she took from those parents[.] She took their baby. She took their marriage. She took the life they were meant to have.” How do you think Marilyn and Tom would reconcile the regret of losing the life they were meant to have with embracing the seemingly happy lives they ended up with? 12. Does the fact that Lucy raised Mia with love excuse her actions? What does “restorative justice” mean in this case? How do you think she deserves to be punished for her crime? 1. Does Wendy’s cooking have you craving Chinese? Try your hand at some homemade dumplings to serve during your book club meeting (chinesefood.about.com/od/dimsumdumplings/r/jiaozi.htm)—or order takeout! 2. In California, Marilyn gets really into things like yoga, meditation, palm reading, and astrological charts. You can find lots of free astrological charts online. For an in-depth reading of your birth chart, try this one: http://www.chaosastrology.net/freeastrologyreports.cfm. How accurate do you think your chart is? Highlight some fun parts to share with your book club. 3. You can read about real kidnapping stories similar to Mia’s by searching online for the kidnappings of Carlina White and Zephany Nurse, who were both raised in other families and found their birth parents years later. How do they compare to Mia’s story? 4. Fascinated by Wendy’s story of giving up her daughter? Read more about the history of China’s one child policy by visiting http://www.britannica.com/EBchecked/topic/1710568/one-child-policy. 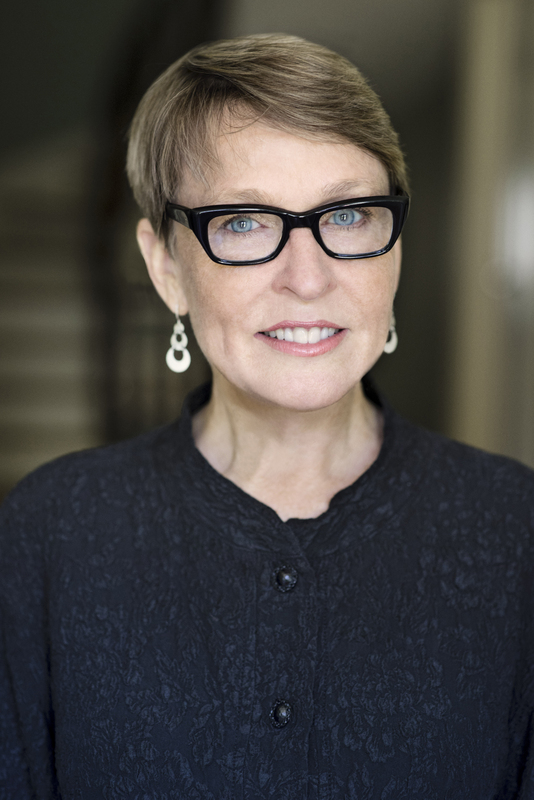 Helen Klein Ross is a poet and novelist whose work has appeared in The New Yorker, The Los Angeles Times, The New York Times, and in The Iowa Review where it won the 2014 Iowa Review award in poetry. She graduated from Cornell University and received an MFA from The New School. Helen lives with her husband in New York City and Salisbury, CT.
"What Was Mine is an emotionally-grounded read...By giving readers the chance to examine what may be unforgivable, Ross brings an entirely new twist to the usual abduction story. 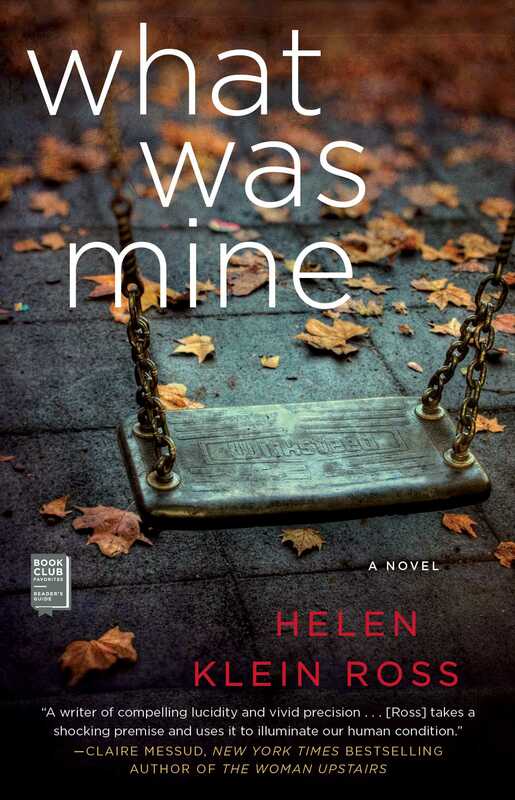 Fans of Gillian Flynn and Maria Semple will enjoy the intensely introspective What Was Mine." "Helen Klein Ross--like Amity Gaige with Schroder, or Emma Donoghue with Room--takes a shocking premise and uses it to illuminate our human condition. A writer of compelling lucidity and vivid precision, she has compassion for all her characters." "Not only a terrific, spellbinding read but a fascinating meditation on the choices we make and the way we love." “In a tale ripe with opportunities for drama, Helen Klein Ross never puts a foot wrong. She lets the story tell itself, and in so doing heightens both suspense and emotional impact. Readers will be moved to understanding, but never to judgmentalism. A stellar performance, and highly recommended." “Sometimes heartbreaking, sometimes joyous, and always riveting, What Was Mine masterfully makes you question where your sympathy should lie at every turn. I couldn’t put down this fast-paced, fascinating psychological study of motherhood." "A powerful plot told with exactly the right approach, What Was Mine is capable of sparking plenty of discussion, whether it is over a water cooler, in a book club or simply in the reader's mind." "Helen Klein Ross writes with such emotion from all sides."